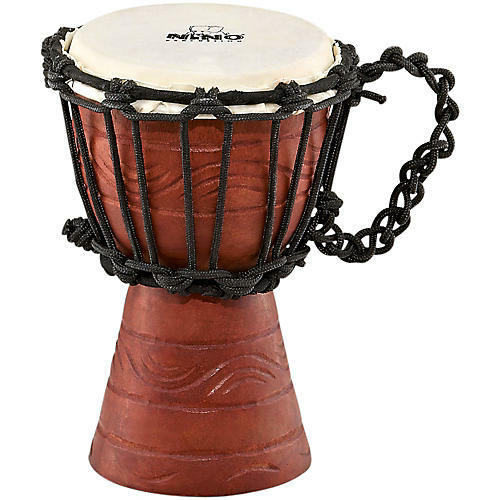 A mahogany-shelled djembe for your pint-sized percussionist. The NINO Original African Style Rope Tuned Wood Djembes are carved from one solid piece of plantation grown Mahogany Wood. These high quality instruments are crafted with great attention to detail and provide an outstanding sound.